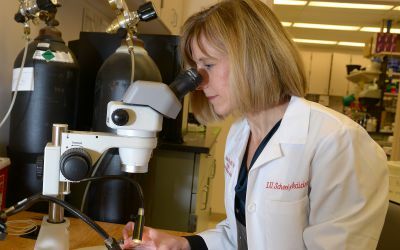 Support from donors is fueling Riley research aimed at uncovering genetic causes for congenital heart defects. Stephanie Ware, M.D., Ph.D., has been recruited to help build the cardiovascular genetics program at Indiana University School of Medicine and develop a research team at Riley Hospital’s research facility, the Wells Center for Pediatric Research. One of the genetic conditions Dr. Ware’s team is investigating is heterotaxy syndrome, a rare condition in which internal organs may form on the opposite side of the body and structural problems are usually present in the heart. Riley Hospital treats about 12 new heterotaxy patients each year. “We have large studies where we enroll patients with heterotaxy and we do genetic analyses to identify genes that might be the cause of their disease,” says Dr. Ware. The price of such studies is high, and Dr. Ware is grateful for the many donors whose gifts enable her team’s work to continue. “There are so many studies we are doing right now that would never have gotten off the ground without donors,” explains Dr. Ware. 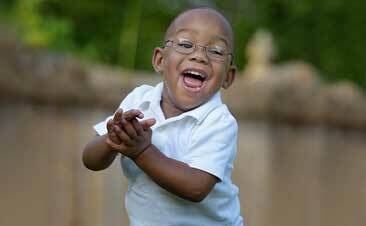 Click here to make a donation to Riley Heart Research through the "My Heart Belongs to Riley" campaign.